Join us for caroling, Christmas tree decorating, crafts, hot cocoa, a photo booth, gifts and ornaments, Las Posadas, and more! The Advent season is about getting excited and prepared for Christmas. What better way to start it off than a big celebration bringing together Advent members and the community. 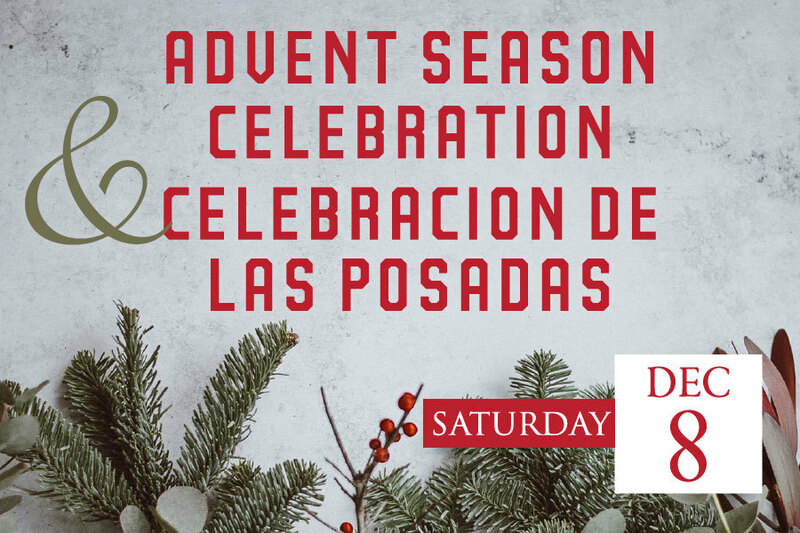 We'll have activities in the morning, lunch, and Las Posadas in the afternoon. Join us for this very special day of fun. Share the Facebook event, or print a flyer to post or share with a friend. God’s love is unmeasurable. And yet, there are signs along the way, signs that God is at work through us and in spite of us. This Budget of Ministries gives us a roadmap, marking our journey, and pointing to the ways that God is at work. Thank you for your commitment to God’s mission and ministry here at Advent Your discipleship to Jesus Christ makes a difference in the world and in the lives of very real people. 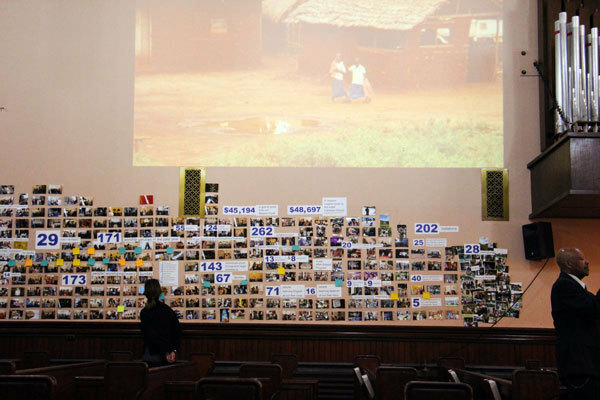 On Udugu Sunday, we reflected on our stewardship through Advent and the global Lutheran Church, and Advent members made their stewardship pledges for 2019. Stewardship is the belief that we are called to care for the world God made and all the inhabitants in it. We do this through the use of God's gifts in our lives -- our selves, our time, and our resources. Stewardship pledges made this fall for 2019 are the basis of our 2019 budget, and therefore the scope and impact of our ministry next year. We ask that you continue your process of reflection about your stewardship through Advent in the coming weeks. Thank you to everyone who joined us for Udugu Sunday! 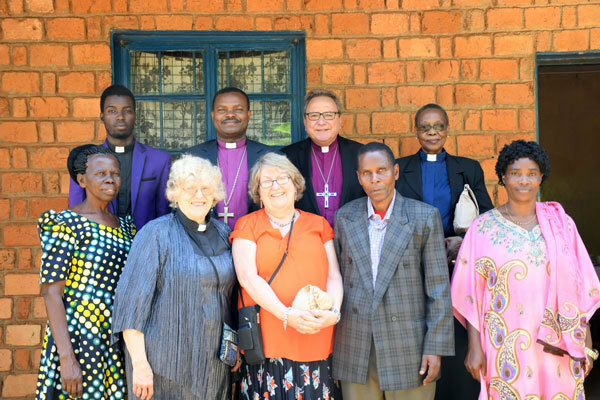 We hope you enjoyed learning more about our accompaniment with the Lutheran Church in Tanzania, and our new sister church, Nyabugera. Couldn't make it? 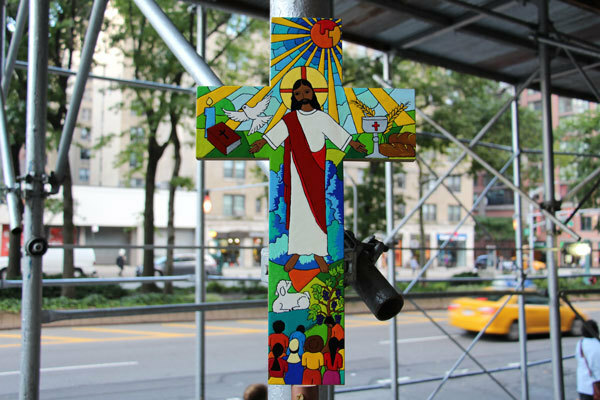 Listen to Pastor Margay Whitlock's sermon here, and see pictures from the day here. 3. Start saving for our Tanzania Trip in 2020! | Our Tanzania Committee will be sharing more details about our upcoming trip soon. - Building Cost Estimates | Gerner Kronick + Valcarcel Architects (GKVA) completed an updated assessment on our basement renovation needs on November 18, increasing the estimate from our Building Update in July. They also affirmed that our Rand Report on the building envelope is valid for 10 years (and "the best in the city"), adding 5% each year for degradation and inflation. - Elevator & Sidewalk | We recently had to pay $8500 in urgent repairs to the elevator, and it is still not operating. Why? Because our elevator is old, when we put a new part in, it causes another older part to break. Following that trend, another part has broken, and the next repair is estimated to take over a month because the repair company will need to build a discontinued part from scratch. Pastor Gary signed the contract this week, so work will begin immediately. Pastor Gary also just signed the contract for a $1,255 bid to shave our 93rd street sidewalk, making it safer for everyone who uses it. We are over-budget on Building Repairs for this year, but Council is committed to addressing the most urgent safety and accessibility issues. - Council Treasurer | Deanne Walters has accepted her nomination to succeed Pastor Charles Miller as Council Treasurer. The nomination will go to a vote at our Annual Congregational Meeting. The Council is currently and prayerfully putting together a Vision Team made up of experienced, passionate, and open-minded leaders from diverse areas of Advent's ministry. The information gathered and discerned by the Vision Team will influence and guide the work of our Spacial and Financial Planning Teams, which will be formed after the work of the Vision Team progresses. The Vision Team will lead a highly visible, inclusive process inviting our congregation to collaboratively shape our vision and mission. The Vision Team will provide opportunities for various levels of engagement by all Advent members. If you want to be involved in this process, begin by saving the date for our Vision & Mission Retreat on Saturday, January 12 from 10am-2pm. This will be an important opportunity to engage early on in the process. In next week's e-letter, our Council President, David Richards, will share an update on our Vision Team and next steps. Intergenerational Choir | Our NEW intergenerational choir, One Voice Singers, was amazing on Udugu Sunday! All are welcome to join One Voice Singers next time at 11am worship on Sunday, December 2. 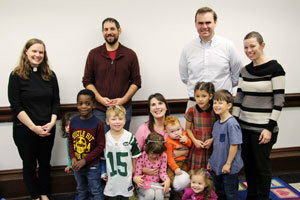 Children will rehearse in Sunday School from 10:05-10:55am the next two Sundays. Adults are invited to one rehearsal at 10:20am in the sanctuary on Sunday, December 2 before joining our Sunday School kids in one voice at 11am worship. 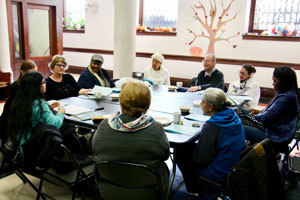 Coffee Hour | Our new Coffee Hour at 10am and 12pm seeks to be the ideal place to get to know new people at Advent. Come join us for coffee, baked goods, and conversation before or after worship every Sunday, and get to know more people at Advent.